THE GUNTHER GANG: get out of your comfort zone. 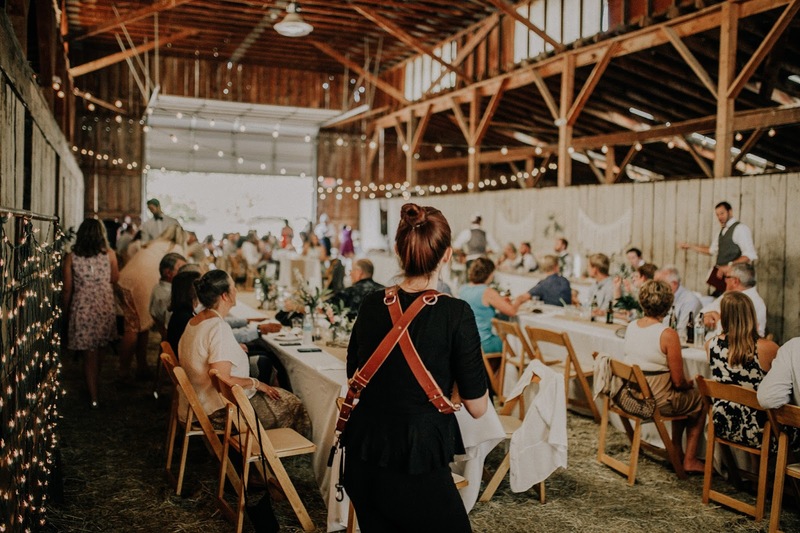 I started advertising myself as a wedding and portrait photographer nearly two years ago and it was one of the most terrifying things I had ever done. When you begin advertising a form of your personal art as a business, you put yourself in a very vulnerable position. My photographs are a way of expressing myself-- they depict events, places, and people in the unique way that I see them. My photos bottle up the world from my perspective and allow me to share my vision with others. When it comes to sharing your art, however, no matter what form of art it may be, you open yourself up to vulnerable position of receiving criticism from others (especially random strangers). You pour little pieces of your heart and soul into your creation and then give it to someone while crossing your fingers in hopes that they will love it as much as you do. I've learned a lot over the last (almost) two years. That being said, I'm still just as nervous every time I wake up the morning of a wedding I've been hired to photograph as I was the first time I was hired to shoot a wedding. It's scary! You're put in charge of one of the most intimate details of someone else's special day. They trust you to capture the big moments, the little moments, and all the moments in-between. That really is such a heavy load to carry upon your own two shoulders for people you barely know. But it's such an honor to be trusted with that kind of responsibility. As I was driving home from the wedding I photographed last night, I got to thinking about how differently I go about handling wedding-day photography than I did when I first began. Although I was wildly aware of the fact that my knees were shaking with nerves and my voice kept cracking, the bride + groom as well as their wedding party kept on making comments about how professionally I handled myself and how I really seemed to know what I was doing. I was speechless because of their kindness and confidence in me and in what I was doing. 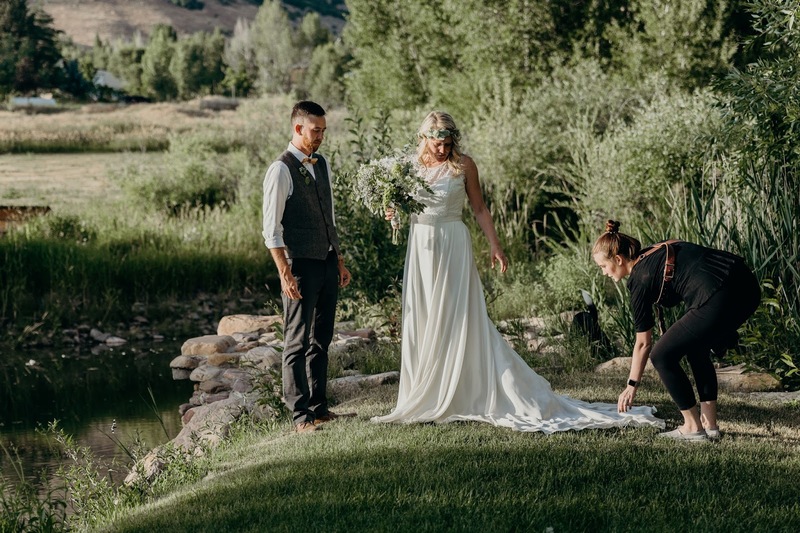 At one point, the bride even pulled me aside and said, "Every time I'd scroll through my instagram feed leading up to the wedding, I'd see a gorgeous picture and think, 'Wow! That's spectacular,' and then every time I'd realize that the photo was YOUR photo and I'd feel so grateful that I hired you to be my wedding photographer!" Taylor was the one who encouraged me to throw myself into my love of photography and offer my services to other people. He bought me my first full-frame camera and accompanied me to shoots when I was too nervous to go to them on my own. He'd review every set of images before I sent them off to clients and assure me that the galleries looked lovely. He pushed me to keep going when I felt defeated or when I felt as if I'd fallen into a rut where I lacked creativity. He has been my greatest supporter and has encouraged me every step of the way along this journey. I owe any and all success I have found in this endeavor to him and his persistence in walking me through all of it. This past week was jam-packed full of shoots (newborns, family sessions, portrait sessions-- you name it). And we ended it all with a wedding in the loveliest barn in a lovely little corner of Utah. I have received so many words of excitement and gratitude from the people I was blessed enough to photograph this week. I have found so much happiness this week alone in taking photos of beautiful people and beautiful moments. All of these experiences wouldn't have ever come to be had I not made that leap of faith into throwing myself into doing something I love. I guess my whole point is this: just do it. If you want to start a clothing boutique, a photography business, a marketing firm-- whatever it is you want to do-- just do it. If you want to get a degree in economics or you want to become a tattoo artist, just do it. Find the things that bring you happiness in your life and then just do it. You never know where your adventures will lead you. Don't let your fears hold you back from doing the things you really want to do with you life. There is so much happiness to be found, you just have to step a little outside of your comfort zone. These are such great works, I so glad I stumbled upon your site after visiting my favorite bloggers site (Somewhere Devine). I love your photography and style and I one day hope to create a style and art just as wonderful and beautiful as yours and the Devine's photos. I love your story, and I seriously have been enjoying a day of reading your posts because I feel like I can relate to all of them. I am an introvert, and tried shooting my first wedding this summer as a second shooter and just couldn't put myself to capturing the special day, I was more than capable I just couldn't get myself to do it. You seriously are inspiring me to take baby steps in life, think positively, be happy with who I am and where I want to take this journey. Thanks so much for putting your content out there for others to read.